Need different lengths, have an awkward corner to get round? Need a switch, don’t need a switch? Then CONNECT LED Light Bars are the solution for you! A total solution for LED cove, cupboard, cornice and backlighting. 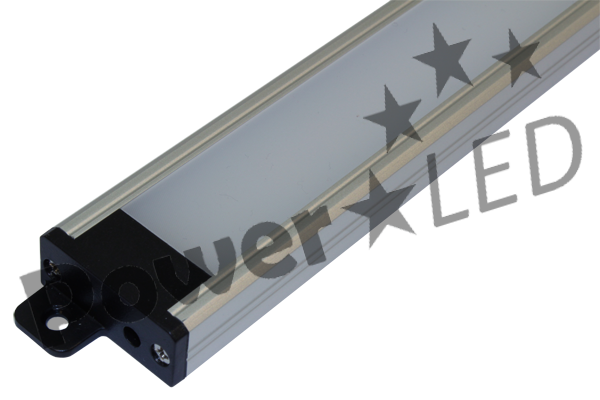 The connect range of products are suitable for 24VDC inputs, where a clean diffused light is required. The simple connect system allows for 90 degree bends, link up and straight line interconnect; all that is required is a suitable power supply. 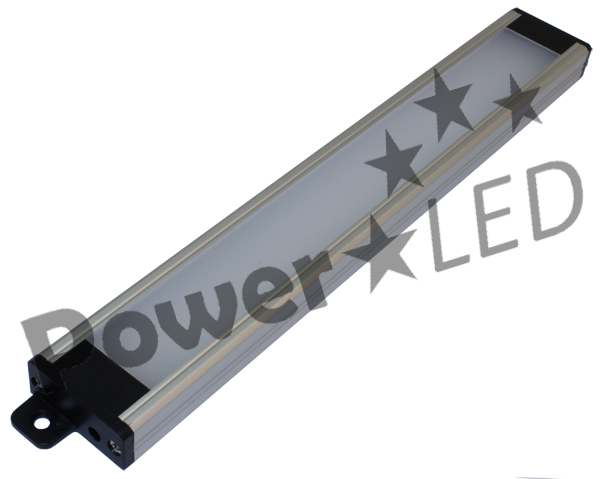 CONNECT LED light bars are wrapped in a rugged, yet pleasing to the eye, aluminium extrusion with easy fit mounting points & magnetic backside. 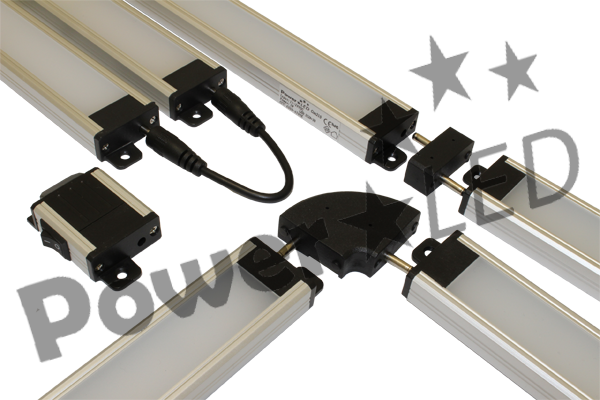 The LED light bars can be joined together using the straight, corner or linking cable so corners or tighter angles are not an issue.With multiple configurations and separate switch units virtually all lighting situations are catered for in applications requiring up to 4 meters of lighting from one driver. The simple link up capability of CONNECT means you can quickly and easily set up your kitchen cabinet lighting using a low voltage solution and without the risk of reverse polarity. 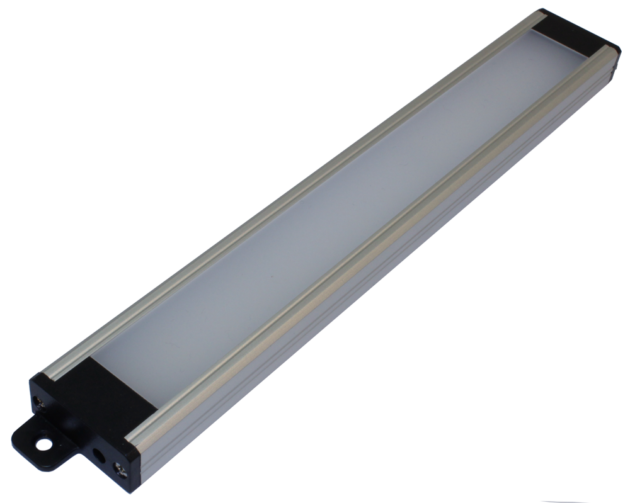 The Connect LED light bar series are mains powered and have been developed to be surface mounted and configurable in almost any combination up to 4 metres in length. 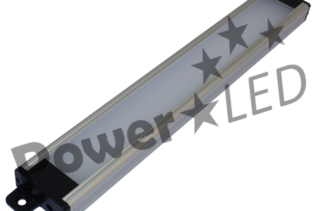 These light bars have a low profile, to suit kitchen lighting and under shelf lighting in particular, but not exclusively. IP44 rated. 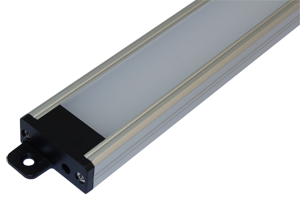 Available in 200, 300 or 500mm light lengths, in cool white or warm white.